Saddle up for some true terror. “Mimes” is a journey into the strange and unsettling. Joseph is having a bad day. Temperatures are soaring, the air-conditioning in his truck has died, and his boss is being a bigger jerk than usual. Things couldn’t possibly get any worse. And then he begins to see sinister-looking mimes around the city of Houston. As more of the silent, ominous clowns appear during his deliveries, Joseph starts to wonder if he’s losing his mind. 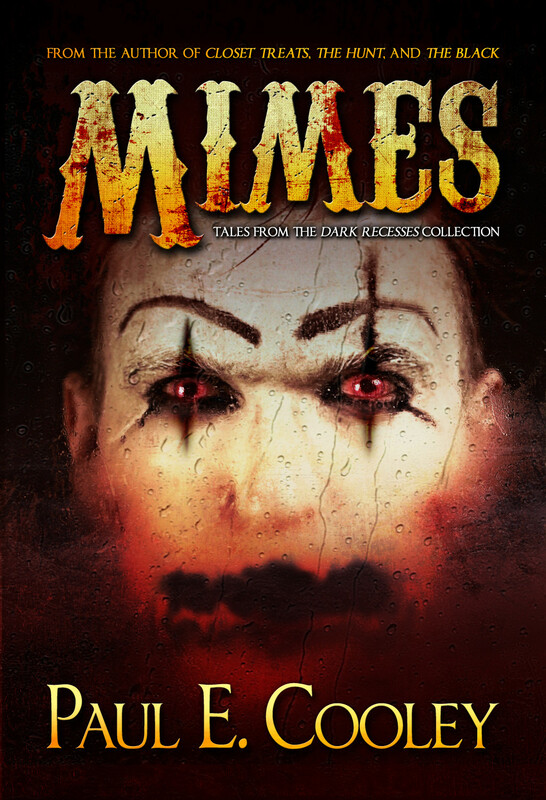 “Mimes” is a horror tale that will leave you silently screaming. This novelette from Paul E Cooley’s “Dark Recesses” Collection was a 2013 finalist for the Parsec Award.